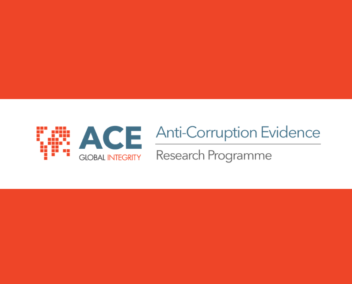 They propose a research programme that speaks to an important corruption nexus in development – urbanisation and corruption – and works with a group of pivotal stakeholders – urban planners – that is uniquely positioned to help address related corruption risks. Instead of testing standard anti-corruption measures we will examine a rather under-explored, yet promising route, the activation and promotion of professional integrity and the professional infrastructures that enable it. We will deploy a set of mixed methods and a qualitative action experiment to probe the viability of this professional route to integrity in Zambia and South Africa. The insights generated will be highly relevant for research and policy across Africa, but also yield critical evidence for broader integrity strategies focused on working with professional communities. To learn more about this project contact Principal Investigator Vanessa Watson at University of Cape Town, South Africa at vanessa.watson[at]uct.ac.za.